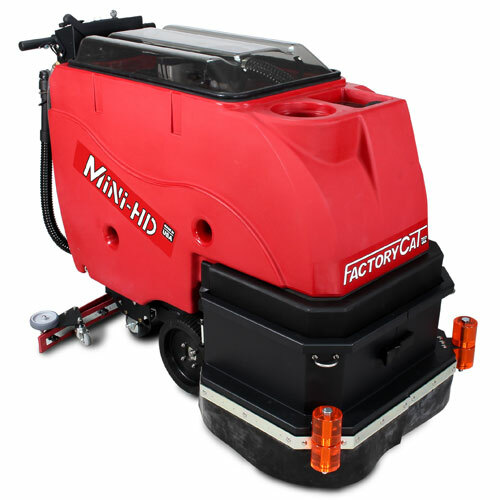 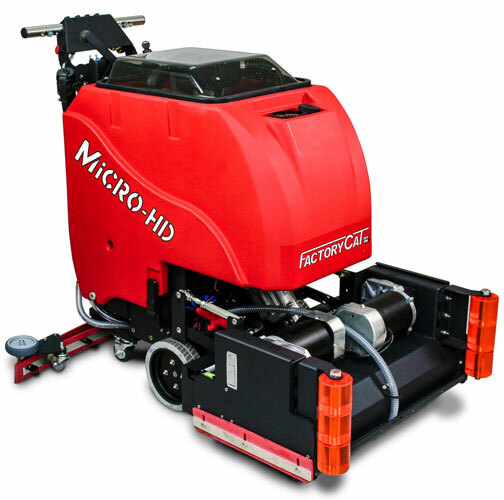 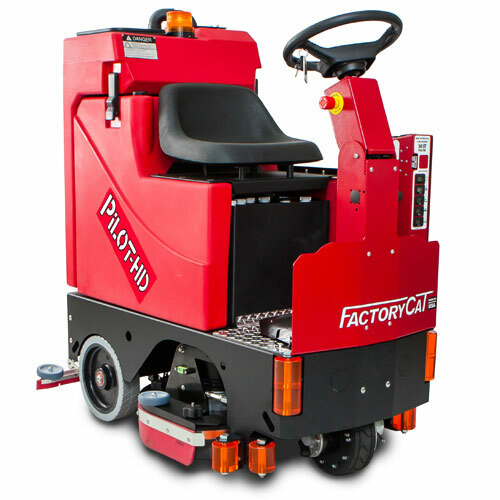 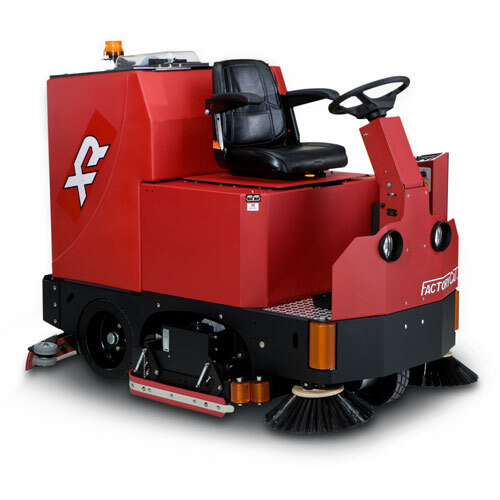 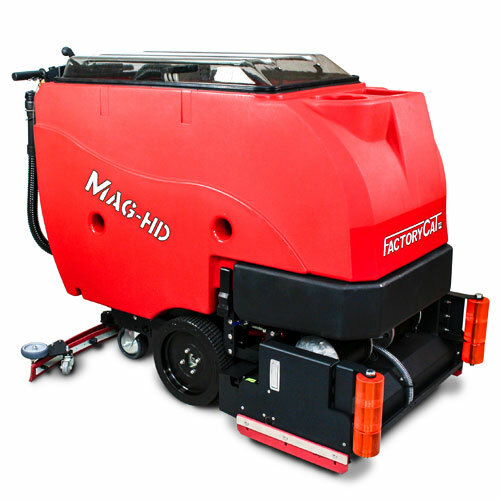 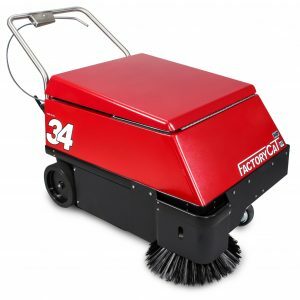 The Factory Cat MICROMINI Walk-Behind Floor Scrubber Dryer is a walk behind machine that is available in disk or EDGE. 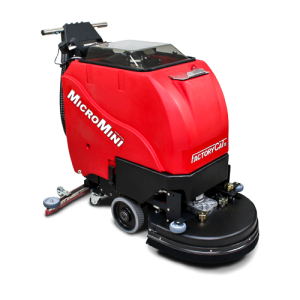 The MICROMINI can either be driven by pad assist or by the powerful traction drive. 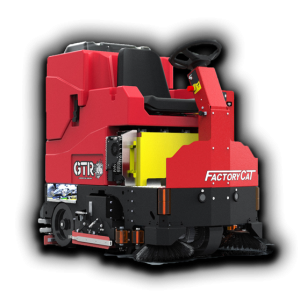 The traction drive allows for easy maneuvering up inclines and over rough terrain. 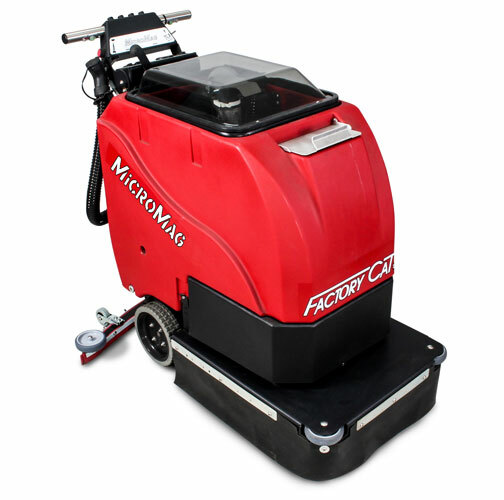 This machine is easy to operate and is built tough. 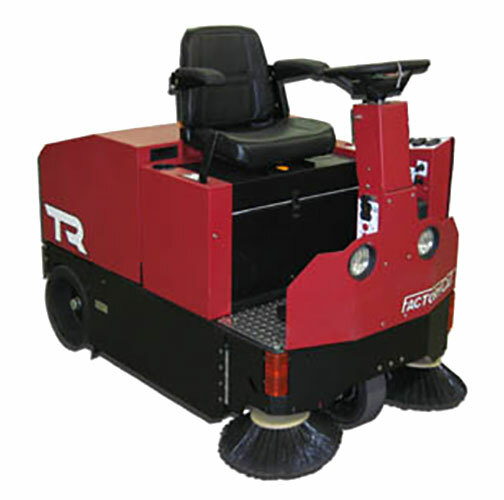 The steel frame and polyurethane rollers keep this machine looking good, as well as the walls in your facility. 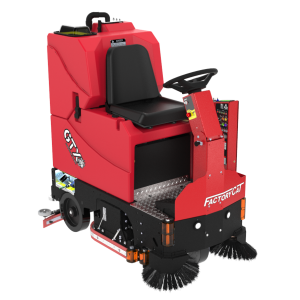 Fit down small areas and conquer wide open floors with this unmatched machine.